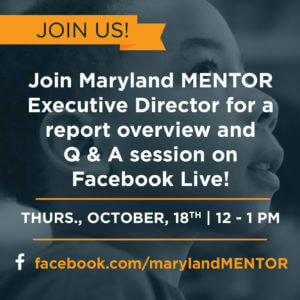 Between April and July 2018, Maryland MENTOR hosted a total of 15 town hall meetings with mentoring providers throughout the state to learn more about their assets and challenges, the youth they serve, and the types of support that could help strengthen programs. 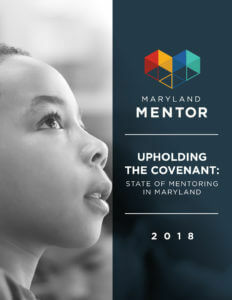 “Upholding the Covenant – State of Mentoring in Maryland 2018″ is a comprehensive report of our findings from those town hall meetings. From Director Sadiq Ali: We are excited about this report for so many reasons, but chiefly because we feel it honors the tremendous work our mentoring program partners have done and are doing. 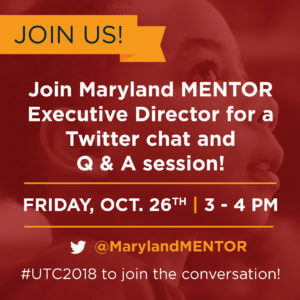 The report also highlights, very clearly, how literally everyone can get involved to bring meaningful mentoring relationships to every child in Maryland. Shore Mixer coming soon! – Stay Tuned.